Dance can be about, for and speak to many, many things. Underlying all the various purposes we attach to dancing, it is first an expression of our individual bodily form. Our bodies express what is in them; our history, our culture, our pedagogy, our scar tissue, our joy, our anatomical limits, our dreams, our strengths. As each of our bodies is unique and special, so is each expression. Even when moving in the most unison gesture, multiplicity is present. This is important. When we share our dancing, we create multiple channels through which multiple discourses are uttered. It is not so important that we are entertained by dancing, but that we acknowledge it as a direct and valid form of communication. This is important. Because dance is inherently multiple, receiving dance requires us to attend to and make space for what we love, but also what we do not understand. This is very important. To hold this in our awareness is to think in revolutionary terms. This is a day to celebrate dance, but also each other, through dance. Dance is life. This is most important. 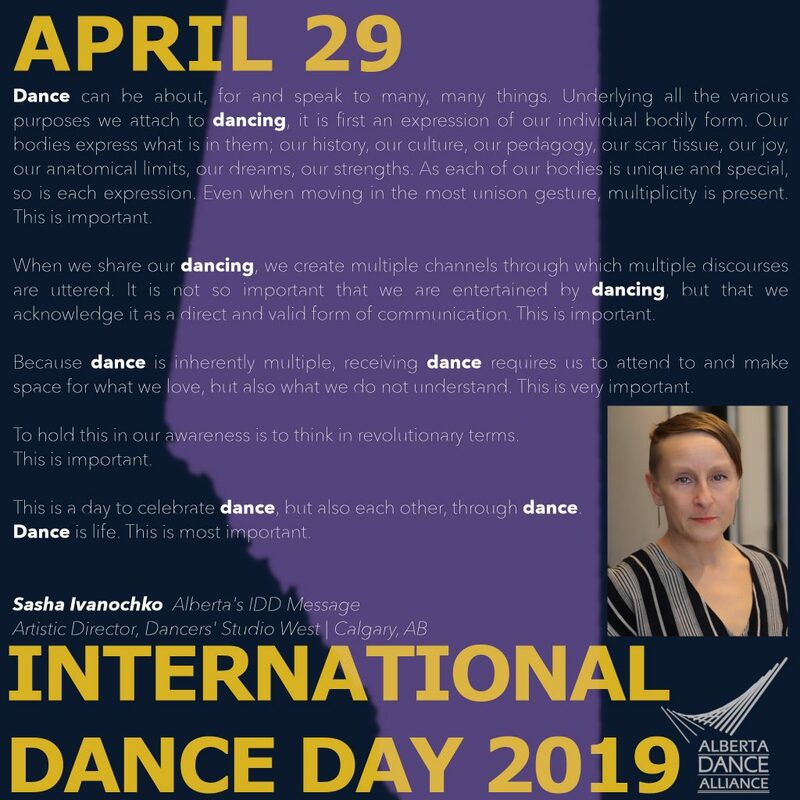 A great many thanks to Sasha Ivanochko for her thoughtful and inspiring words about dance, providing the Offical IDD Message from Alberta for this year’s International Dance Day on April 29th! Sasha Ivanochko is a choreographer, educator and the Artistic Director of Ivanochko et cie. In August 2018, she became the AD of Dancers’ Studio West, an organization dedicated to the evolution of contemporary dance practices in Alberta. Sasha first developed her powerful physicality competing for ten years on the Canadian National Gymnastics Team. At the age of 14 she began training in Ballet and Modern dance at the Etobicoke School for the Performing Arts, and in 1991 she graduated from the School of Toronto Dance Theatre. She has an MFA Interdisciplinary Studies from Simon Fraser University. A virtuosic and multi-talented interpreter, she performed in the works of many outstanding choreographers, including Michael Trent, Peter Chin, Susie Burpee & Linnea Swan, Toru Shimazaki, Denise Fujiwara, DA Hoskins, Peggy Baker, James Kudelka, Tedd Robinson, Citadel & Compagnie and for nine seasons with Toronto Dance Theatre. During her final two years with TDT, Ivanochko was the Artistic Assistant to Director Christopher House. Sasha made her choreographic debut in 1997, and since then has created a body of work renowned for its dramatic physicality, unflinchingly candid performances and detailed craftsmanship. Alongside her choreographies for Ivanochko et cie, she has been commissioned by Toronto Dance Theatre, Via Salzberg, Winnipeg’s Contemporary Dancers, TILT sound+motion, Toronto’s Crazyfish Collective, multiple Canadian dance conservatories and universities, and independent artists Helen Husak (Calgary) and Naoko Murakoshi (Kobe, Japan). An educator since 1996, Miss Ivanochko has developed a training methodology that is specific to the demands of her choreography. The class supports participants developing a kinetic and interpretive understanding of her movement vocabulary, but as well encourages a broader range of skills that has applications towards many performance avenues. Sasha has guest taught internationally, was the Artist in Residence at The University of Calgary in 2014 and 2018, and is a regular guest artist at École de danse contemporaine de Montréal and The School of Toronto Dance Theatre. She currently teaches at The School of Alberta Ballet. Sasha’s creative output extends into the worlds of other artists. She works as an outside eye for peers and provides creative facilitation and mentorship for young dance artists. A passionate advocate for the health and status of artists and the position of the milieu in greater culture, Sasha served as Chair of the Canadian Alliance of Dance Artists, Ontario Chapter, from 2006-2009 and Chair of the Independent Standing Council with the Canadian Dance Assembly from 2009-2011. Throughout her career, Sasha’s artistic contribution to the Canadian dance milieu has been acknowledged through a variety of awards and bursaries. She is a five time Dora Mavor Moore nominee for Outstanding Performance and Best Choreography, the recipient of the 2007 K.M. Hunter Award, a two-time recipient of the Chalmers Family Fellowship, and the first recipient of The Kathryn Ash Award dispersed by the School of Toronto Dance Theatre. In 2006, Sasha was profiled in the Bravo Channel Documentary Freedom Series. Her MFA research was awarded the Joseph Armand Bombardier Canada Graduate-Masters Award. 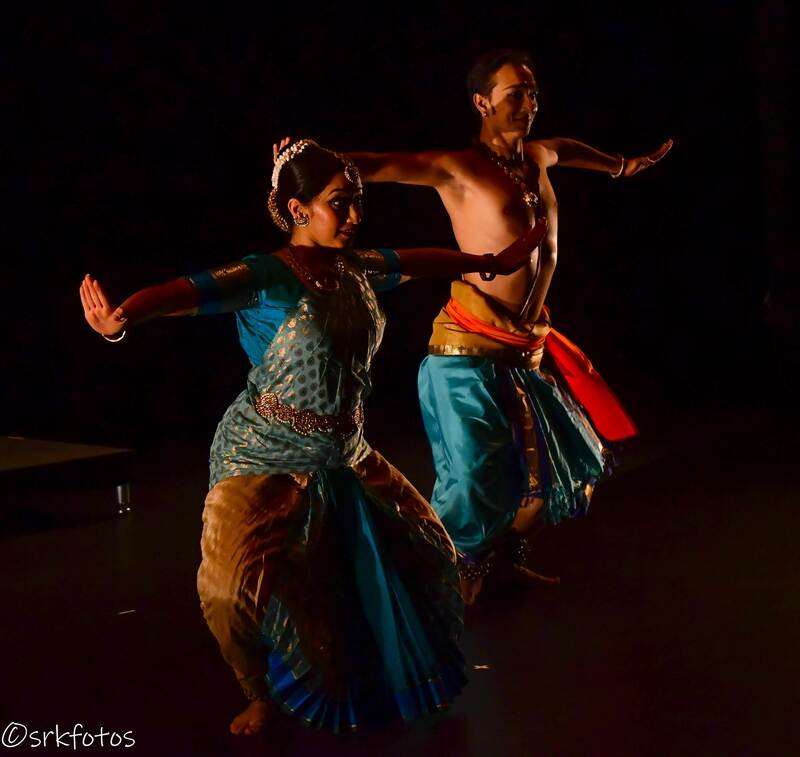 Natyam Dance Academy cordially invites you to an evening of south-Asian dance and music. Evening features presentations by local talents and a dance theatre presentation ‘Sangharsh – The conflict within’ featuring our guest dancer Karthik Datar from Bangalore, India and a with live music ensemble. ‘Sangharsh’ – constant conflict within every being explored through the characters of Mahabharatha. Tix Adult $15/ under 12 – $10. 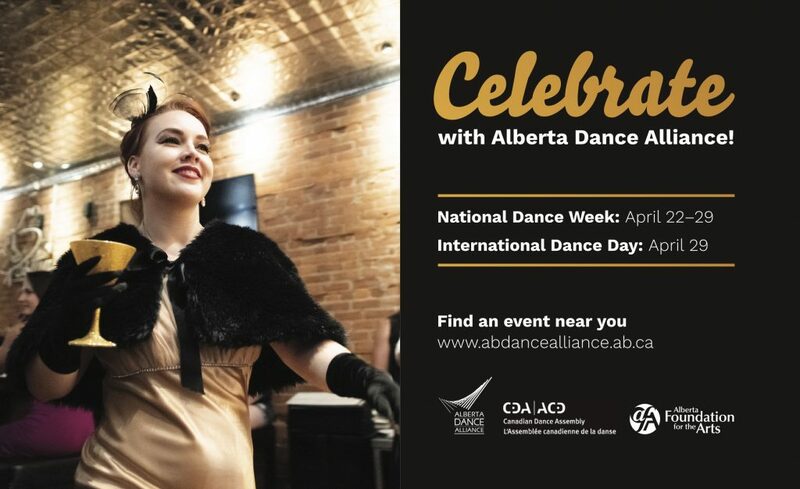 If you have an upcoming event for International Dance Day 2019, be sure to let us know! Photo: Marc J. Chalifoux photography, Scarlett von Bomb performing during Feats of Burlesque at the ADA’s 2018 Feats Festival of Dance in Edmonton, AB. Initiated in 1982 by the International Dance Committee of the UNESCO International Theatre Institute, International Dance Day falls on April 29 of every year, commemorating the birthday of Jean-Georges Noverre, a distinguished choreographer that brought about significant reforms in ballet production. Since 2005, the Canadian Dance Assembly has issued a Canadian message in conjunction with the UNESCO message. This year, CDA invited Vivine Scarlett of Dance Immersion to share her inspirational message to all Canadians. The universal movement of dance releases the very essence of what is all around us. It connects and weaves so deep that one can feel the wisdom, patience and graciousness of its flow. With each move made there is a giving and receiving communication in that universal experience. Dance is a vehicle that lends itself to learning about oneself. It helps us move through life’s experiences by expressing our stories and our history, by commenting on our present and nurturing our future.Dance for you. Just dance and let the rhythm of our spirits soar in the movement of DANCE. Vivine Scarlett is an administrator, choreographer, and instructor, whose artistic goals and aspirations are rooted in the love of dance. She is the Founder and Executive Director for dance Immersion, an organization that presents, produces and supports dancers and dances of the African Diaspora and provides a variety of programs for children and adults. Vivine’s contributions to the field of dance are generated from an energy that has fuelled her passion leading her on a journey for over 34 years of giving and serving through the arts. As former Artistic Director and performing member of the Usafiri Dance & Drum Ensemble, Vivine created and presented works in both traditional influenced African and contemporary African dance styles. Drawn to all kinds of dance expressions and movement, Ms. Scarlett’s passion has manifested many experiences that have served Canadian artists of African descent with opportunities that have laid a foundation for continued growth and representation. Vivine is the recipient of the 2016 Dance Ontario Lifetime Achievement award with numerous other awards which some include: Planet Africa Heritage Award received for her contributions; a Chalmers Arts Fellowships to work with youth in Ghana, West Africa; Dora Mavor Moore award for her choreographic endeavours in the theatre production of “The Adventures of a Black Girl in search of God”; a Dora nomination for her work in “The Freedom of dreams: The Story of Nelson Mandela” and a K.M. Hunter Dance Artist award to list a few. Ms. Scarlett has taught for numerous institutions and organizations throughout Canada. Her efforts to connect international Blacks in dance to Canada has resulted in dance Immersion bringing two youth organizations to perform in Ghana West Africa. Under her guidance, dance Immersion has hosted two International Association of Blacks in Dance (IABD) Conference & Festival and preparing to host this event again in 2021. 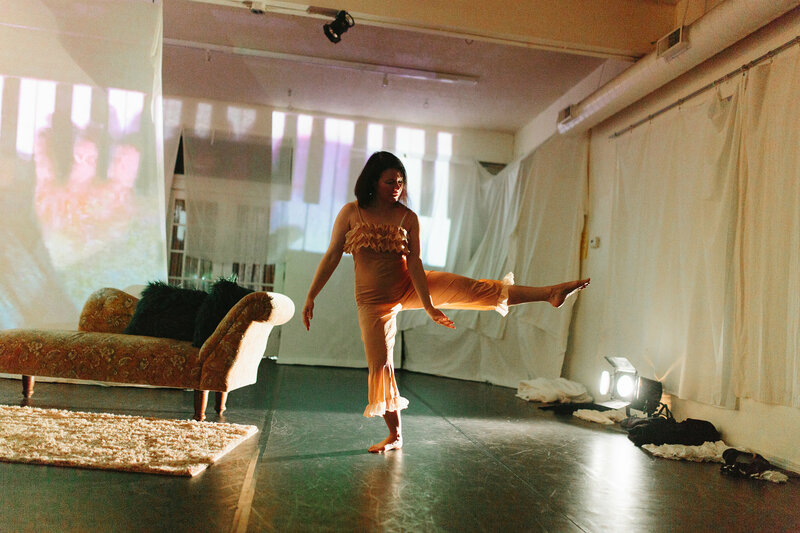 Vivine continues her creative explorations as a freelance choreographer while nurturing a new generation in arts administration. Initiated in 1982 by the International Dance Committee of the UNESCO International Theatre Institute, International Dance Day falls on April 29 of every year, commemorating the birthday of Jean-Georges Noverre, a distinguished choreographer that brought about significant reforms in ballet production. Every year, an international message authored by a well-known dance personality is circulated around the world as part of International Dance Day celebrations. Check the ITI Unesco website to view the international message.